As economic turmoil grinds on and business and education opportunities on foreign shores become increasingly attractive, many people are questioning the viability of staying in their home country. Would-be expats will find that some spots are more business-worthy than others, and each city has its own unique edge, attracting widely different industries. Paris has many names and most of them do it justice. The city of light, which is one of the French capital’s nicknames, is considered one of the world’s most important business locations, serving as the base of a long list of corporate and international players including UNESCO, LVMH, AXA and Renault. Displaying a highly diverse business culture, Paris is perhaps most famous for its fashion focus and it is still considered the capital a la mode, even if some would have you believe otherwise. Proving its status as such, many of the world’s established fashion houses have made Paris their base, including the powerful LVMH Group. 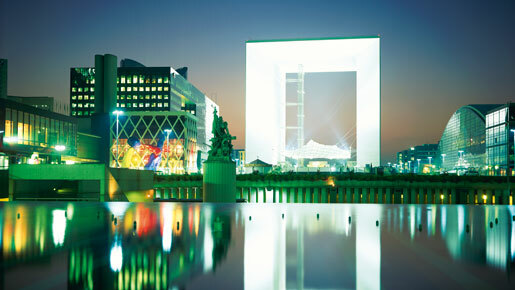 Moreover, the city is the undisputed home of haute couture, while Paris Fashion Week is considered the most inspiring among the international fashion week contenders. Whether catering to fashion powerhouses or other types of businesses, Paris offers sophisticated conference centres and other business-friendly facilities, as well as a reliable transportation system. But one could argue that the infrastructure of the city is secondary to its more defining characteristics, such as its awe-inspiring culinary culture. The eminent food heritage ties in rather well with corporate life, as the city serves up a wide plethora of unbeatable restaurants perfectly suited if impressing a client is at the top of the agenda. While the history and fine reputation of French cuisine stretches back in history nearly a thousand years, native food mavens aren’t averse to the idea of turning French cuisine on its head in the name of contemporary experimentation. Whether focusing on traditional fare or innovative recipes, notable restaurants to consider are Le Relais Plaza, La Maison Blanche, Le Voltaire, Laurent and Le Pré Catalan – all of which push distinctive concepts and enticing menus that may well contribute to that deal being successfully closed. Ever since the Berlin Wall fell in 1989 and the city of Berlin reclaimed its status as the capital of Germany, it has steadily morphed into a viable business centre; it is now considered an entrepreneurial hotspot deemed almost as important as London. Most notably, Berlin is one of the world’s top locales in which to embark on new business ventures, particularly so for companies setting out in the segments of IT, biotech and the green sectors. So what’s behind the boom, apart from the unification of the eastern and western part of the city? One reason is low rents, but the city’s high number of quality universities also contributes to the growth, while it has in turn also bred a respectable number of highly trained and skilled engineers that directly up the professional standards of the region. Location-wise Berlin is also hard to beat as it is positioned in the centre of Europe with easy access to the rest of the continent and beyond. As worthy as Berlin is as a viable business nucleus, it might appeal more to creative types than polished city slickers. While having developed a great deal, Berlin still features areas that are quite gritty, something that is reinforced by graffiti-cluttered walls (the government’s budget for graffiti sanitation is said to be minimal). Whether graffiti is art or not is a hotly debated topic, but Berlin certainly has proper art in abundance as the city serves up as many as 170 museums and galleries, attracting visitors in their millions every year. The museum island (Museum Sinsel) is a highly worthwhile cluster of five museums that include Pergamon Museum, the Altes Museum (old museum) and the Neues Museum (New Museum). Another art establishment not to be missed, although it doesn’t form part of the museum island’s worthy line-up, is the Neue Nationalgalerie that was established in 1968 and designed by the groundbreaking architect, Mies Van Der Rohe. Speaking of architecture, this is a sector that offers plenty of business opportunities, since a growing number of international architecture and design agencies have set up shop in Berlin to make a mark in what has become a definite showcase for esteemed “starchitects”. Buildings by world-renowned names such as Norman Foster are quite plentiful, and some of Foster’s more eye-opening contributions to the local cityscape is Philological Library, or as it is popularly called, “Berlin Brain”. Figuratively, the bookish building is shaped like a brain, both internally and externally. In view of the many buildings dotted around the vast area of Berlin, embarking on long city walks is certainly a worthwhile leisure activity to enjoy in between meetings. Aside from the myriad contemporary buildings, the destination features a smattering of buildings and monuments that possess both beauty and rich history. The Brandenburg Gate is by far the most visited site of all. Arguably the most recognisable and potent landmark of Berlin, it symbolises the reunification of the east and the west sides of the city. Mention Amsterdam and acres of colourful tulips invariably spring to mind, followed by hash brownies and dubious forms of entertainment. But corporate folks know the city has more facets than might first meet the eye – Amsterdam is indeed an important business hub, too. Nestling right in the centre of Europe and with the added benefit of a major sea port and an eminent international airport (Schiphol), Amsterdam serves as the ideal business base with easy access to all major European markets. Further benefits include the new tax system that was introduced to attract international businesses. The scheme sees non-residents and foreign companies taxed as little as 10 percent. Moreover, the work force of the country is also of high calibre as most Dutch people speak at least two languages in addition to their mother tongue. Evidently, there are many reasons why Amsterdam offers such ample business potential, making it obvious why international corporations and smaller businesses alike have chosen Amsterdam as their European base. Canon, IBM, and Sony are only a few companies that are present in Amsterdam, while the headquarters of Royal Bank of Scotland and ING Group are based in the Dutch capital, too. Although Amsterdam offers business opportunities aplenty, its financial sector is particularly well established – a status that owes in part to the fact that Amsterdam played host to the first ever stock exchange in the world, the Amsterdam Stock Exchange. The local financial service sector is one of Europe’s largest and employs a considerable slice of Amsterdam’s workforce, while a vast number of banks operate in the city. Aside from a healthy banking milieu, other prominent business sectors include fashion and beer. Notably, Heineken operates one of the largest exporting breweries in the world. Not surprisingly, the flower industry is an important market. The Netherlands supplies a sprawling cross-section of fresh flowers; and a substantial portion of flowers sold around the world, tulips or otherwise, come to bloom in Holland. The chocolate box city has many shops, museums, canals and seven Michelin star restaurants, making it a thriving tourist destination. Tourism – which is an all-year round affair in Amsterdam – employs an enormous amount of staff working across the hospitality sector as well as other tourist related areas. In recent decades, the industries of technology, telecommunications and biotechnology are also gathering force. To provide domestic and international businesses with a designated area, the sustainable office and residential hub that is the Zuidas district – also known as the Financial Mile – is under constant development. Located in the southern part of the city, the ultra-modern spot has benefited architecturally from the creative flair of luminaries such as Micahel Graves, Toyo Ito and Foster+Partners. Zurich may be something of a business destination cliché, but there’s a reason why the corporate contingent flock to one of Europe’s most affluent cities. Known to offer a high quality of life, Zurich is also widely recognised as an offshore paradise. Although it doesn’t quite approve of the labelling “tax haven” – Switzerland offers such advantageous tax benefits that a fifth of the country’s population is non-Swiss, a large portion of which has settled in the nation’s largest city. Aside from a wallet-friendly tax system, the housing in place is a sound standard while the level of education is equally high. Since most major banks are present in the city, the locale is a particular draw for professionals working within the financial industries. Notably, the Swiss stock exchange, SIX Swiss Exchange, is located in Zurich and – being the major force that it is – functions as the head group of several different global operative financial systems including Eurex, EXFEED and STOXX. A sophisticated financial system is not Zurich’s only strength – the city and its surroundings offer a host of worthy outdoor activities and the general sports culture is also well developed. Zurich’s skiing might not be on par with St Moritz but it does provide the ski enthusiast with adequate alternatives. Some ski resorts are located a mere hour’s drive from the city: Elm, Airolo, Ebenalp and Chur are a handful of examples. Zurich’s cultural heritage is another of its strong points, and there are several museums to enjoy in the city. Zurich’s newly revamped Kunsthaus Museum is arguably the destination’s ultimate art venture and its collections span works from the old masters to those of contemporary talent. Notably, the museum holds the most comprehensive collection by Alberto Giacometti. To widen its appeal further, Kunsthaus Museum will benefit from further extension projects in the coming years. Music connoisseurs are likely to be drawn to The Zurich Opera House (Zürcher Opernhaus), which is one of the most important opera houses in Europe. Established in 1834, it went on to become the very seat of Richard Wagner’s concerts, which explains why the establishment often presents works by this particular composer. One doesn’t have to seek out museums or concert houses to get inspired in Zurich – the cityscape of the spot is worthwhile in its own right. Zurich owes much of its architectural identity to Swiss architect Karl Moser, who is popularly referred to as the father of modernism. The renowned creative’s work is present across the entire city, and includes the main campus of the University of Zurich and the building that houses Kunsthaus Museum. It wouldn’t be unfair to say that Finland has never been considered the most awe-inspiring contender out of the countries in the Nordic Region. But its rather unglamorous past is loosening its grip, and the city has changed drastically in the past few years to reveal a forward-thinking and stylish capital with a buzzing creative edge and strong R&D culture. Boasting a highly educated population, the Finnish school system provides a very high standard of education. Taking advantage of the benefit, as much as a third of Helsinki inhabitants have taken higher-level education; significantly, this is a larger proportion than seen anywhere else in the world. As a result, the country’s workforce boasts eminent ICT and language skills, while the Finns are also known to display high ethics and impressive productivity levels. High ethics have also transferred to other areas, and while volatile markets create chaos and misery elsewhere, Finland is regarded as something of a safe haven, offering sound investment possibilities as well as lower risk premiums. In line with the emphasis on education, Finland’s annual innovation budget is unusually generous and makes good use of the many researchers and other professionals working in the country. To take advantage of the country’s innovation-intensive system, international companies with high focus on R&D keep flooding in. Not surprisingly, Finland has cultivated many respectable companies active within science and technology. No less than eight Finnish technology companies were nominated for Red Herring’s prestigious award in 2011, which celebrates the most innovative private technology companies in the world. The Finnish contenders that made the cut are Mendor, Microtask, Eniram, Footbalance, Beneq, Aditux, Sendansee and Rightware. Forward-thinking creativity also prevails in other areas than science and technology. Finland’s design heritage is pronounced and world-renowned luminaries, architects and designers such as Aalvar Aalto and Tapio Wirkkala have helped shape the famous movement that is “Scandinavian Design” – although Finland is not a Scandinavian country, but a Nordic one. The Finnish design progression didn’t take its last breath with Alto’s last chair; it very much lives on today. Helsinki’s creative industries thrive and are underpinned by a host of talent operations within disciplines such as fashion and architecture. Print-based fashion label Ivana Helsinki is one such name and the label’s wares have found their way into stores across the world, while Mika Piirainen has designed collections for Finnish cult name Marimekko since 1994.